1. I don’t know which side of the faucet is hot water and which is cold. In the house I (mostly) grew up in (we moved several times), the water lines in the kitchen and bathroom sink were backward, so the side that said hot was really cold. These things still confuse me. 2. I had a cat, Bearcat Louise, and there are several posts around here about her. Bearcat died in April 2013. For almost as long as I can remember, every family pet has had a middle name. Bearcat was adopted by a former roommate and her boyfriend. He was the college mascot at the time — Bobby Bearcat. When they moved and couldn’t take Bear with them, they were going to return her to the shelter. That didn’t seem fair. I sent her to my mother’s to live with her Rottweiler and gave her a middle name while I lived in a no-pet apartment my last semester of school. Bear and I had been roommates since January 2000. 4. I’m a journalist. But I don’t really write for a living. 5. I have lived in five states: Missouri, Iowa, Kansas, Washington and Indiana. 6. I claim Will, Emmitt and Ozzie as relatives. You can see the family resemblance in the ears. 7. My lucky number is 13. I look forward to Friday the 13ths — they’re usually very good days. 8. I love trivia and bits of random knowledge, writing weirdly complicated concatenation formulas and researching historical events. 9. I collect typewriters. But I’m pretty sure I’m too old to be considered a hipster. 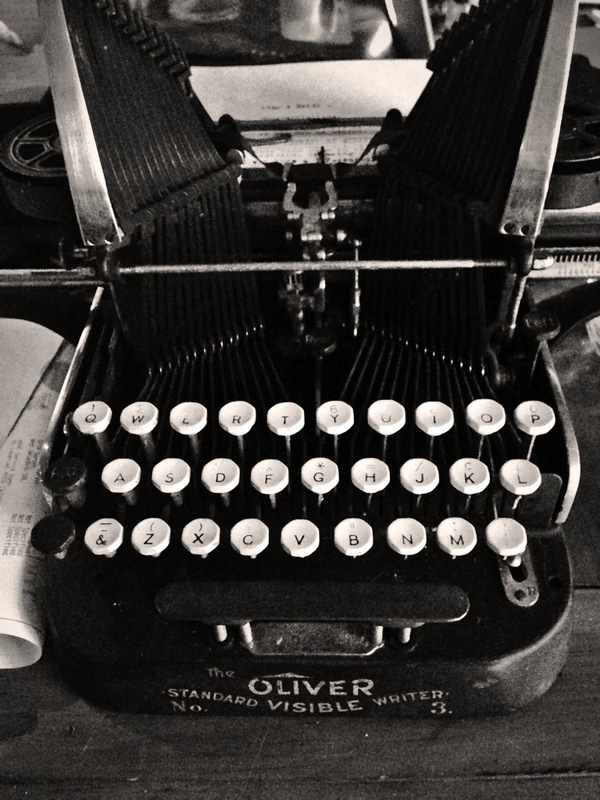 Of the seven typewriters I have, only one it electric; it belonged to my grandmother. The oldest is an 1896 Smith Premier 2 with a double keyboard, which makes typing a little tricky.